Motorcycle Shippers provides professional motorcycle transport in Manitoba, including door to door services. We have 17 dock locations throughout provinces in Canada. 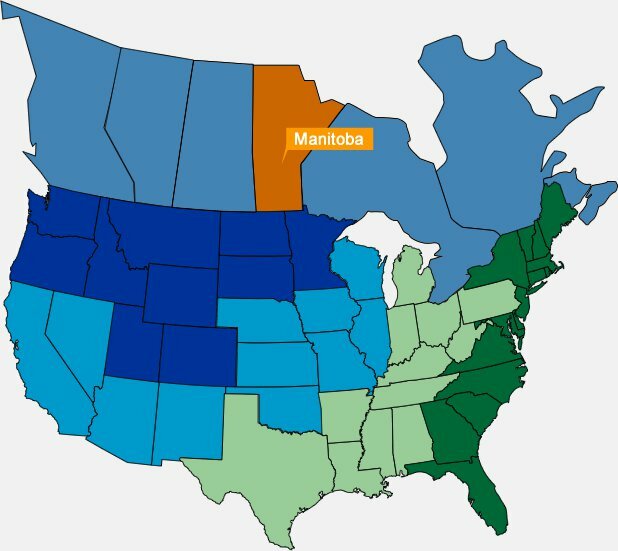 Check the chart below for accurate Manitoba Canada motorcycle transport pricing for motorcycles & ATV’s between the U.S. and Manitoba, Canada. Our dock is in Winnipeg. Moving vehicles across the border will require the service of a customs broker. Apply to areas within 50 miles of Winnipeg. $3.00/mile over 50 miles, round trip. Canadian border restrictions are subject to change and may affect our ability to provide this border-crossing service. Please contact us for more information before planning your move. Pick up takes approximately 1-10 working days, delivery will be approximately 5-10 working days later. In a hurry? Call us at (800) 730-3151. Motorcycle Shippers provides professional motorcycle moving in Manitoba, including door to door services like motorcycle moving in Winnipeg.